A watch of their promotional video and a flick through their literature, your average aspirational parent would jump at the chance to send their child to Greenfields School. A quaint Victorian mansion, perched on the edge of the rural Ashdown forest, it has eleven acres of woodland, boasts academic and extracurricular excellence, and defines itself as a ‘happy, friendly and family-orientated school’. Continuous education is offered from nursery through to sixth form at a reasonable price, and well below the cost of a place at your average private school. The place is almost too good to be true. The sad truth? It is. You wouldn’t necessarily know it from the literature but the school is linked closely with the Church of Scientology and far from broadening the horizons of its students, there are allegations that many of them are groomed by the Church for the secretive and cultish ‘Sea Org’ programme abroad. Greenfields may claim to welcome students ‘of all faiths, cultures andnationalities’ but what exactly that means is open to debate. L Ron Hubbard, science fiction writer, convicted fraudster, and the founder of Scientology, is mentioned only a few times on the school’s website and in their literature, and never in relation to the Church of Scientology itself. Instead, he is referred to respectfully, and rather misleadingly, as simply an ‘author’ and a ‘humanitarian’. 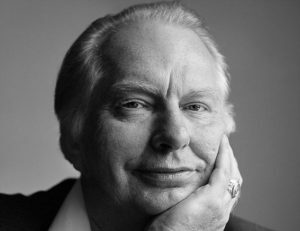 And whilst there is no evidence that the school teaches children about all of the beliefs and doctrines of Scientology (that alien spirits called thetans command our bodies, for instance), the school’s ethics and morals are based on Hubbard’s 21 moral precepts outlined in The Way to Happiness. Although it is promoted as secular in nature, its critics have described it as a recruitment tool for the church. Hubbard is also revered by the school as a great innovator in education. The methods of ‘study technology’ are praised as being the USP of the school, which claims: ‘applied standardly, Study Technology produces remarkable improvements in a student’s ability’. In actual fact, the latest available results show that only 63% of students at Greenfields attained five good GCSES (A*-C), well below the results for the average private school and below the results achieved by the local comprehensive in the area too. Where ‘study technology’ has been employed elsewhere at schools around the world, it has been the subject of complaints from both parents and teachers. The more the story is dissected, the more intruiging it becomes. A report from the Independent Schools Inspectorate found that just eight of its 101 students were in sixth form. The reason for this is explained by Fred, a former student who left Greenfields in 2008, who said that ‘Most of them left once they had done their GCSEs’, adding that some leave even before their GCSEs are completed. By ‘left’ he doesn’t simply mean they went to different schools or moved on to sixth form colleges – he was referring to students being transferred to America, not to study but to enrol on Sea Org (the secretive arm of Scientology which is described as ‘the church’s equivalent of a religious order’ and has been the subject of some of the more controversial allegations made about the church). Scratch away at the surface, and this quiet haven in rural East Sussex is not as it seems. Scratch away at the surface, and what you find is Britain’s only Scientologist school.